This was the first gift I made for the ‘Let’s Make Christmas’ UK food blogger event that I was lucky enough to attend last week. When I was thinking of ideas of what to make I was looking for an excuse to make macarons, especially with a Christmas theme. I’ve never actually liked Christmas Pudding that much myself. I am developing a bit of a taste for it as I get older, as long as it is accompanied with large quantities of brandy butter, but I’d still prefer a macaron. I think that these make a nice alternative and if you used an different filling (maybe a large dollop of mincement) they could be suitable for any lactose intolerant guests you might have. I have made macarons about five times before with varied results. I tried a slightly different recipe this time and these were my most successful ones yet. The trick seemed to be whisking the eggs a bit more before adding the sugar syrup and cooking the macarons at a lower temperature. I was also worried that adding alcohol to Italian meringue buttercream might make it curdle but it worked beautifully. I had the perfect paper to make the box and used this tutorial from the lovely ‘Craft and Creativity’ blog. I am not sure who ended up taking my gift home after the event but I hope they enjoyed it. Making them has certainly got me in the mood for Christmas. 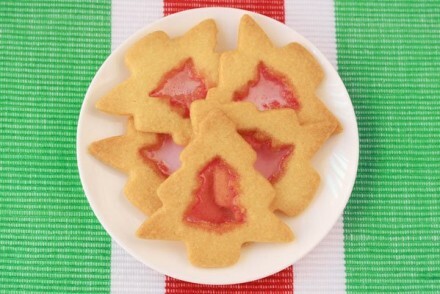 If you would like to try making these yourself then you can find the recipe below. I have added these macarons into the Mac Attack #25 The Last of the Year: Seasons & Holidays challenge. This should make about 40 macarons (so 80 shells) that have a 2.5cm diameter. 1. Briefly pulse the ground almonds and icing sugar in a food processor. Sift carefully along with the spices, cocoa and food colouring. 2. Place the caster sugar and water in a saucepan and bring to boil without stirring. At the same time as this start to gently beat 80g of egg whites to soft peaks using a mixer. 3. When the temperature of the syrup reaches 105°C increase the speed of the mixer. Once the syrup hits 115°C remove the saucepan from the heat and pour in a thin stream into the beaten egg whites. Continue beating the meringue for 10 minutes so that it cools. 4. Combined the dry ingredients you sifted at step 1 with the remaining 80g of egg whites to make a smooth almond paste. 5. Using a flexible spatula, mix about a third of the meringue into the almond paste to loosen it, then combine the remainder of the meringue. Work carefully until you have a gently flowing consistency. Do not go too far as you will get flat macarons without feet if the mix is too runny. 6. Place some baking paper on your baking trays. 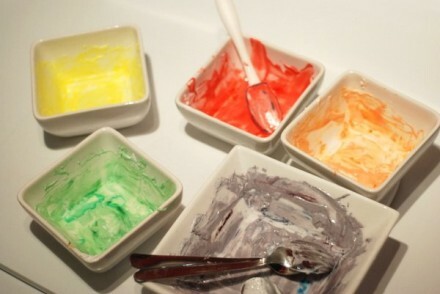 Fill a piping bag fitted with a wide plain nozzle (about 8mm) and pipe small circles, leaving a space between each one. 7. Lightly tap the baking sheet on your work surface and leave the macarons to stand for about half an hour. Pre-heat the oven to 150°C. 8. Bake in the oven for 14 minutes. Allow to cool for 5 minutes before peeling from the baking paper. Initially we are creating an Italian meringue as we did for the macarons. 1. Place the caster sugar and water in a saucepan and bring to boil without stirring. At the same time as putting this on, start to gently beat 80g of egg whites to soft peaks using a mixer. 2. When the temperature of the syrup reaches 105°C increase the speed of the mixer. Once the syrup hits 115°C remove the saucepan from the heat and pour in a thin stream into the beaten egg whites. Continue beating the meringue for 10 minutes so that it cools. 3. Once you are sure the meringue is cool start adding small lumps of the butter, mixing each bit in thoroughly until adding another piece. Once it is all added increase the speed of the mixer and mix for about half a minute until the buttercream has a smooth, light but firm consistency. 4. Add the brandy and mix again on high for another half a minute of so. 5. Once the macarons are cool pipe a generous amount onto one macaron shell and sandwich with another. 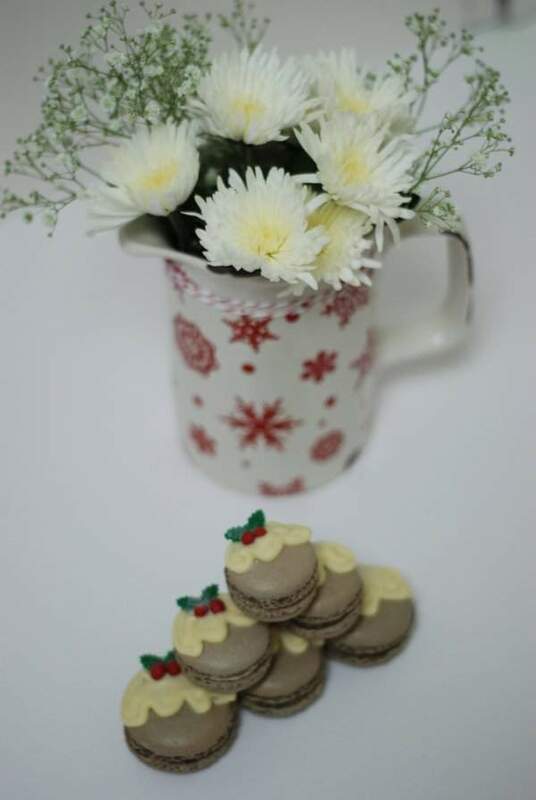 Pipe on white chocolate to make the macarons look like a Christmas Pudding and add fondant holly leaves and berries. Sprinkle with white edible glitter. Enjoy! 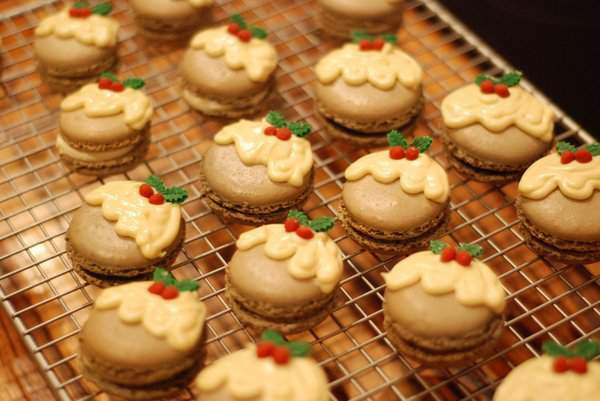 These are just the perfect holiday macarons and what a great flavor! Wow! These are stunning and can just imagine the gorgeous flavours. I was planning on making Xmas Pud macs and now you’ve totally inspired me. They are beautiful. Like you, I’d MUCH rather have Xmas pud in a macaron rather than the real thing. Fabulous! Thank you for your lovely comments Jill. I will keep an eye out for your Xmas Pud macarons. These looks incredible. I’ve never tried making macarons with brandy. Must be heavenly! Thank you, I would definitely recommend trying the brandy flavour. Do you know that these were the absolute best Macrons I’ve ever ever eaten? They were beyond delicious and utterly beautiful and I am so pleased that you have shared the recipe .. because I shall be making them every year from now on forever! Thank you for your lovely comments Vanessa, I am so pleased that you like them. Thank you! Yes, I realised too late that I’d forgotten to put my name on the recipes, oops. I’m very pleased you liked them and it’s good to know who received them. Laura … Can you email me your details please? Just popped over from your gingerbreadmen macarons. These are super cute too and I love the box! 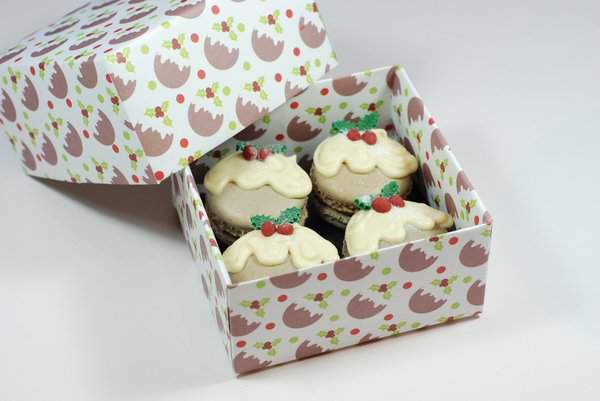 I’m not a fan of christmas pudding either and weirdly enough macarons but I’d love to try some of these. I just made these .. they are superb .. Did you keep your in the fridge? or in the larder? I’ve popped them in the fridge for now .. but will bring them up to room temperature .. will the fridge upset the macarons? Thanks Vanessa. I always keep them in the fridge then take them out half an hour before serving. The fridge doesn’t upset them. These are the most adorable little puddings I’ve ever seen! 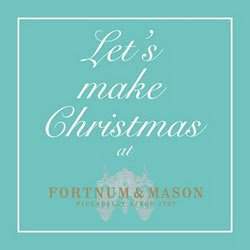 I love the decoration and the brandy buttercream sounds delicious too – the perfect festive pud! YUM – these look puddylicious! Lady you have serious talent and are superbly creative. You dressed them up beautifully … and gasp, even made the box. PERFECT!! I am sure you have had a fab holiday season. Thank you for sharing it with us. Have a wonderful 2012 Laura! I love these macarons! I made these to put in my Christmas goodie bags for my friends and they went down a treat! Mine ended up being minus the white chocolate and lovely leaves and berries (far too hot in Brisbane at this time of year to make this work) but they were well received anyway. Thank you for such a great recipe – this was my first attempt at making macarons and they worked out really well. I’m so pleased to hear that Dianne. Thanks for letting me know 🙂 Happy Christmas to you! Outstanding, will be making these tomorrow. Where did you get the cutter for your tiny leaves? Can’t see myself cutting out 120 of these tiny critters! !